R. Lars Anderson, P.C., is a small law firm with offices in Macon, Georgia. Our family law, criminal defense and personal injury practice meets the needs of clients throughout the surrounding area of Georgia. Criminal defense - Our criminal law practice encompasses matters from minor traffic offenses to murder charges and nearly everything in between. Family law - We assist individuals and families with challenging matters involving divorce, child custody and support. Personal injury - When someone else is negligent and causes an accident, we can help you pursue compensation for your injuries while you focus on getting better. 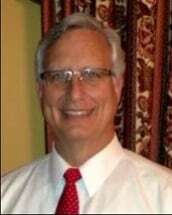 Attorney R. Lars Anderson has been practicing law since 1985. He uses his extensive trial experience to provide tenacious representation and sound legal advice to individuals with a variety of legal concerns. At many larger law firms, a paralegal or an inexperienced associate may take over your case after the initial consultation. At the law firm of R. Lars Anderson, P.C., you always know who is working on your file: experienced lawyer R. Lars Anderson. He will handle your case from start to finish, providing you with knowledgeable counsel and committed service. To learn more, please contact us at 478-250-9718 to arrange a free initial consultation.